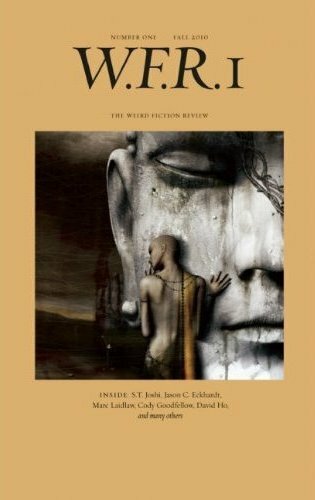 The Weird Fiction Review is an annual periodical devoted to the study of weird and supernatural fiction. It is edited by S. T. Joshi, one of the leading scholars and editors in the field. This first issue contains a wealth of fiction, poetry, and reviews from leading writers and promising newcomers. It features six original stories by Marc Laidlaw, Cody Goodfellow, Michael Aronovitz, Jason C. Eckhardt, Joseph S. Pulver Sr., and Clint Smith, and an extensive color artwork gallery by David Ho. Essays and poetry round out the issue. Sewn paperback with flaps.